When you give a gift to TLC, you aren't just supporting a center or a program, you're supporting real children with stories, challenges, and goals. 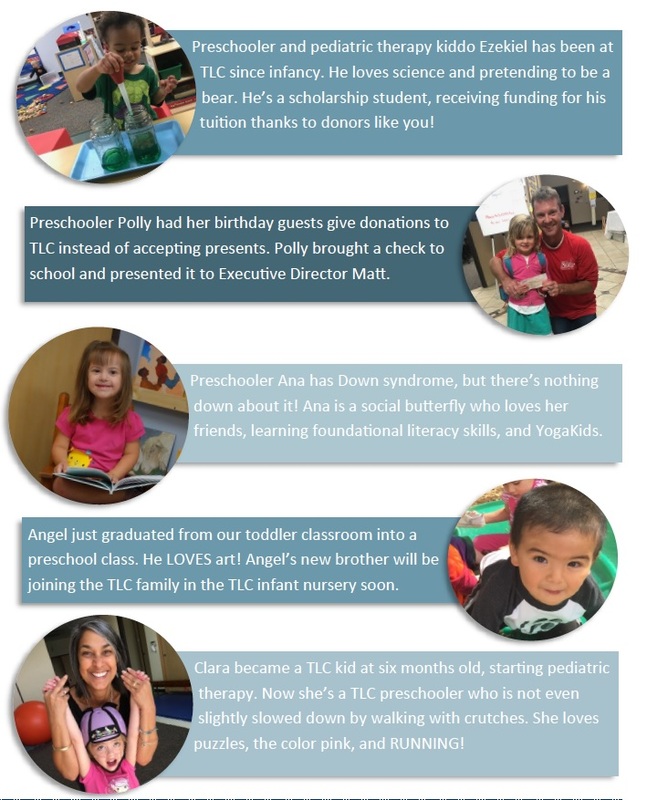 These are just a few of the over 200 children TLC serves annually with early childhood education and pediatric therapies. At our Christmas Tree Festival this weekend, a guest leaned to a TLC Board Member during our presentation on this tax credit and asked, "Is this for real?" We're so happy to say Yes! It is very for real and we hope you'll take advantage of it. You can call us with any questions at (303) 776-7417.